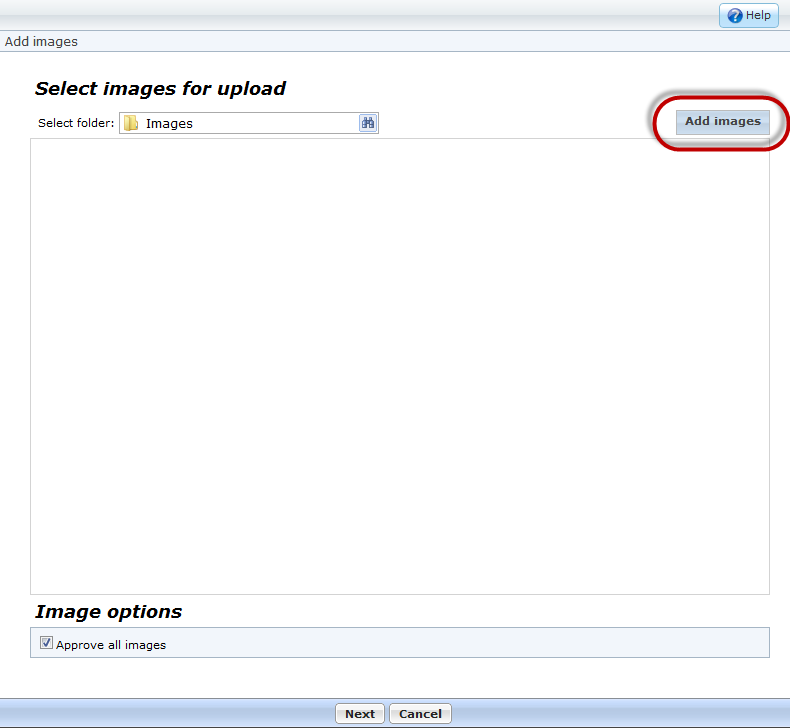 When uploading images to the Image Library, the "Add Images" button [shown below] does not appear in the "Select images for upload" window. A setting in your web browser or local network is preventing certain types of scripting from properly executing. If using Internet Explorer, restore the default settings in the browser.